Menulog delivers for Flippin-Fish & Chippery so you'll be able to track your courier on a map. Grilled flake, chips and salad. Steak lot (tomato sauce) and chips. Grilled fish burger and chips. 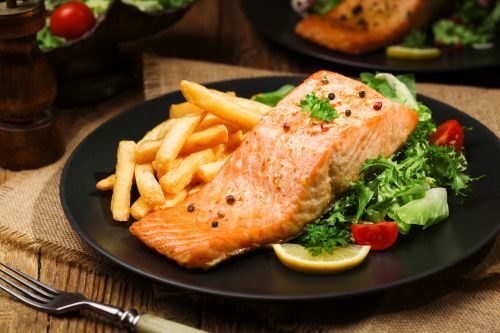 One grilled salmon, chips and salad. Six calamari, chips, tartar sauce and one can of coke. One fish bite, chips, one potato cake and one dim sim. Flake, chips, two potato cakes and one dim sim. Four flakes, chips, four potato cakes, four dim sim, four calamari ring, tomato sauce and can of Coke. Four fish bites, four calamari rings, four scallops, four calamari ring, tomato sauce and can of Coke. Three calamari rings, two crumbed prawns, two scallops and chips. Egg, cheese, lettuce and tomato.